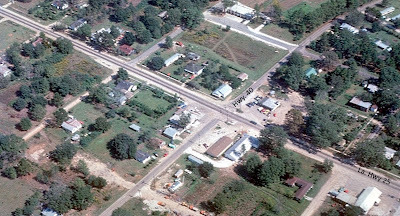 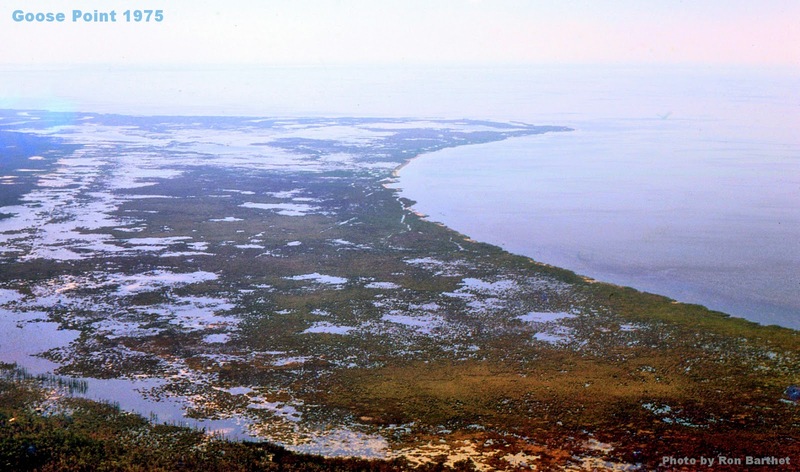 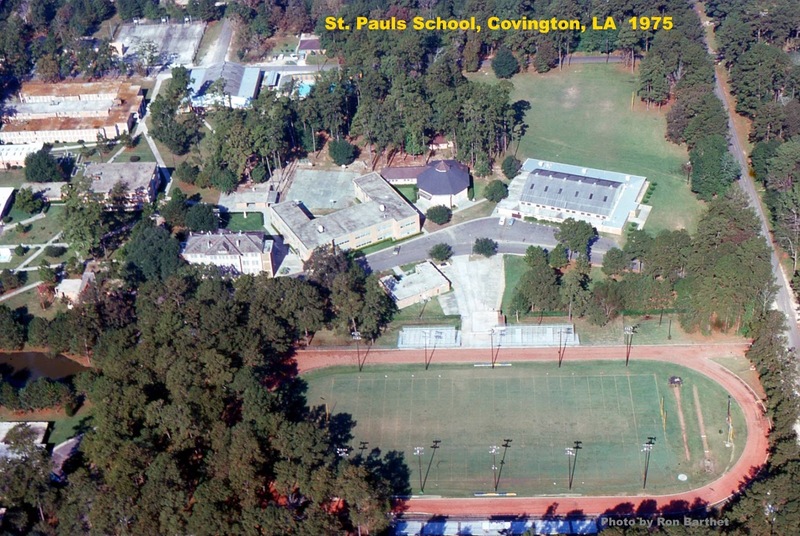 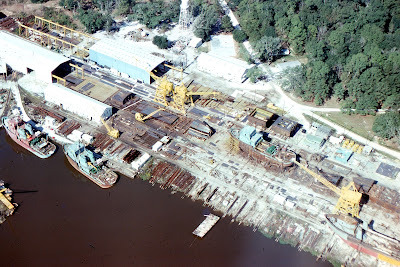 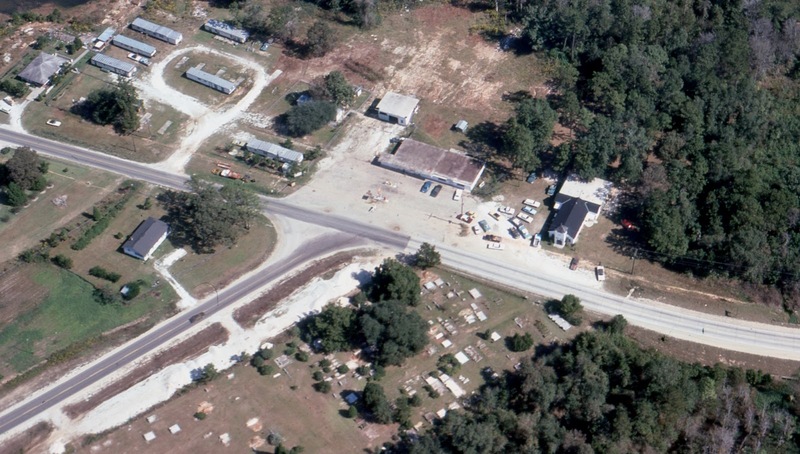 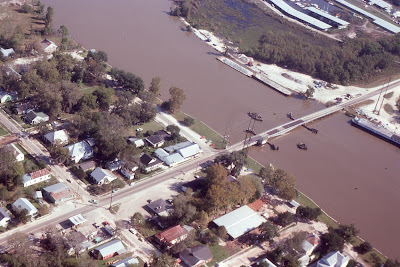 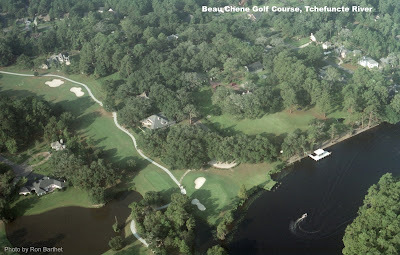 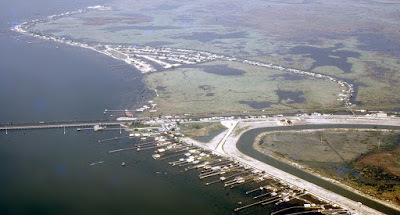 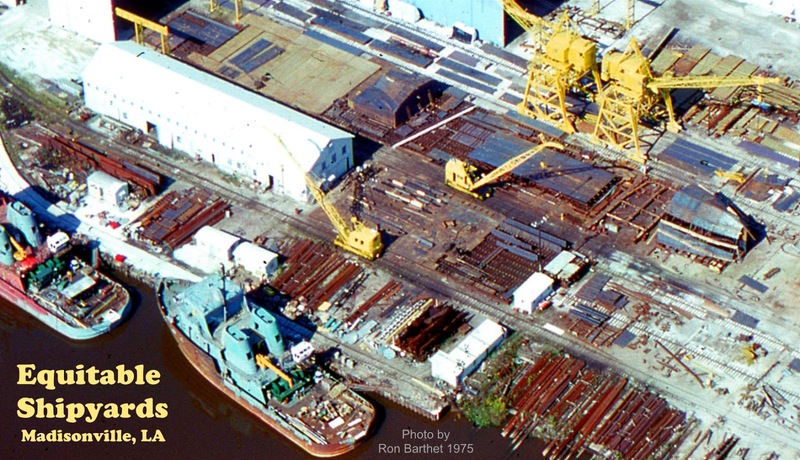 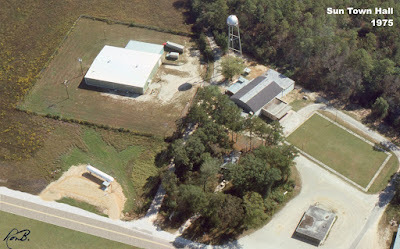 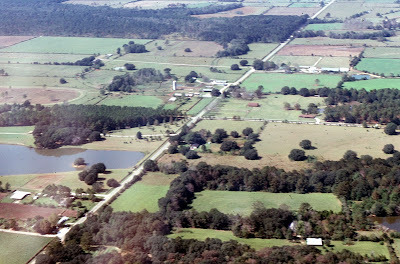 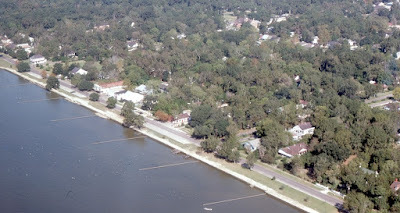 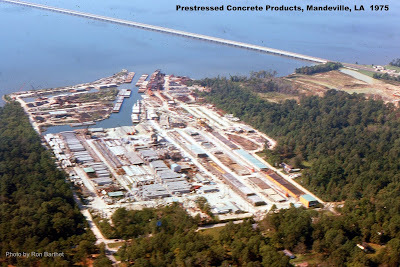 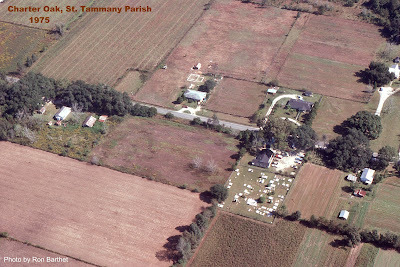 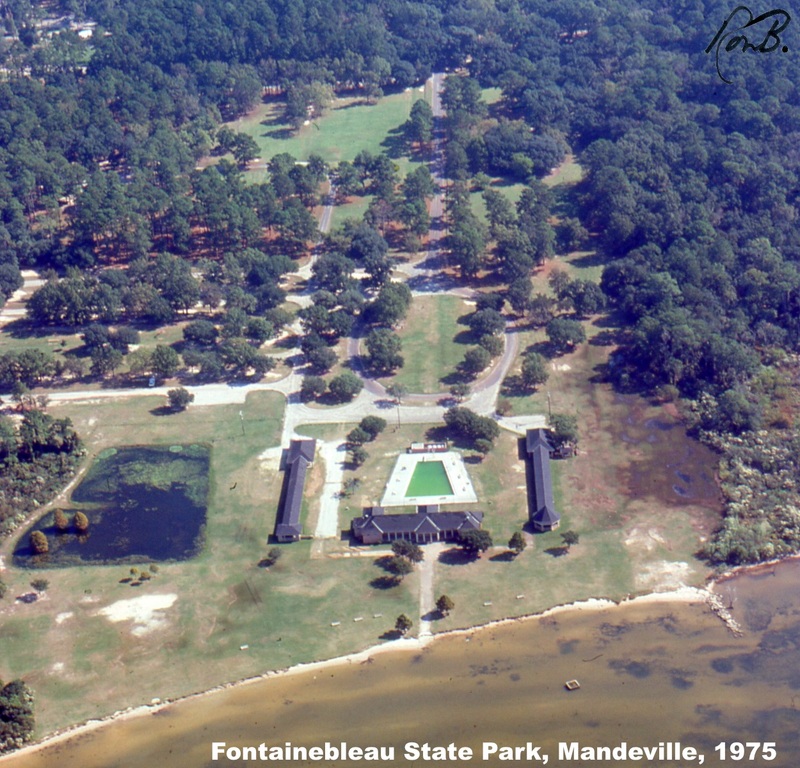 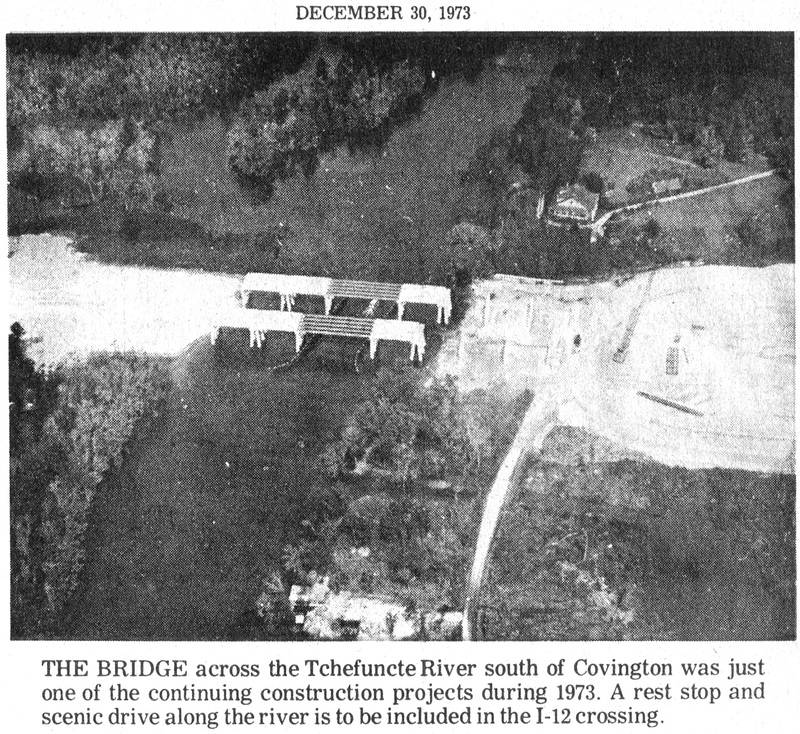 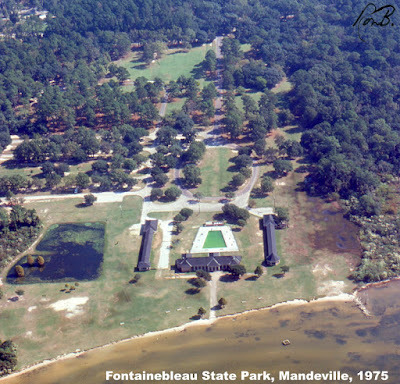 Over the past two years, I have posted a variety of aerial photos that I took during airplane flights in the 1970's and 1980's over St. Tammany Parish. 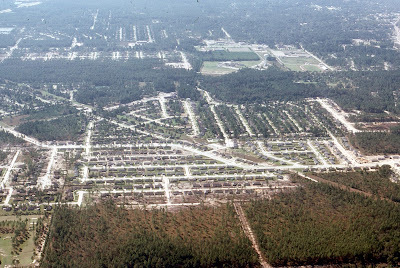 I thought a consolidation of the more popular ones would be interesting, so here they are, listed in alphabetical order by community name. 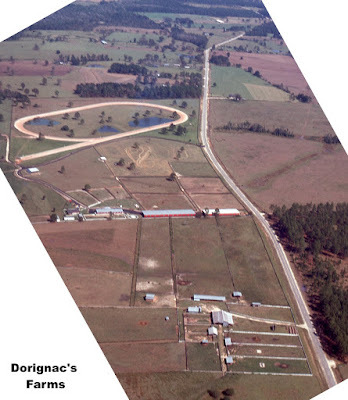 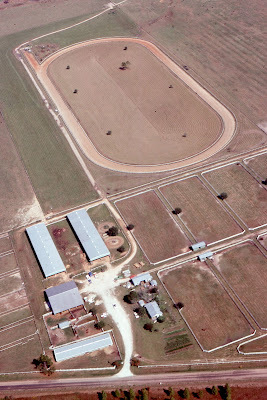 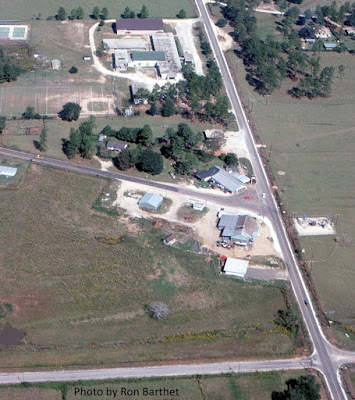 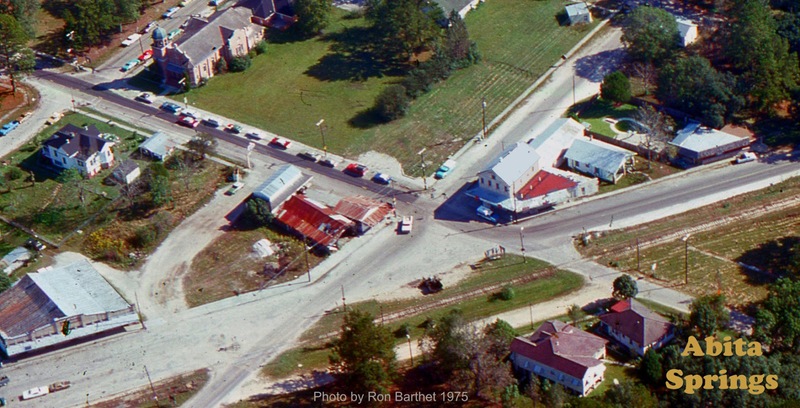 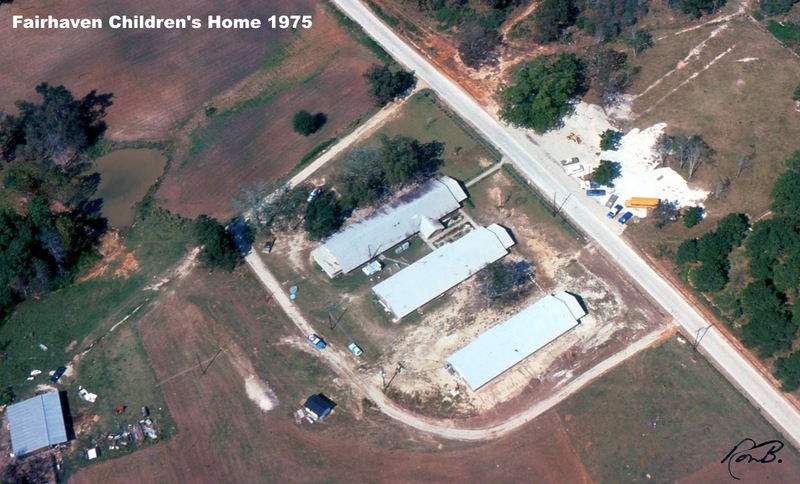 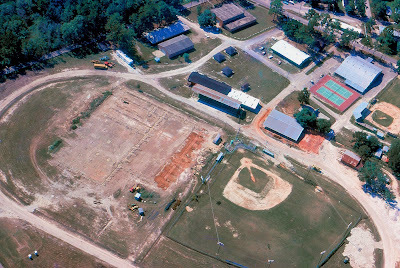 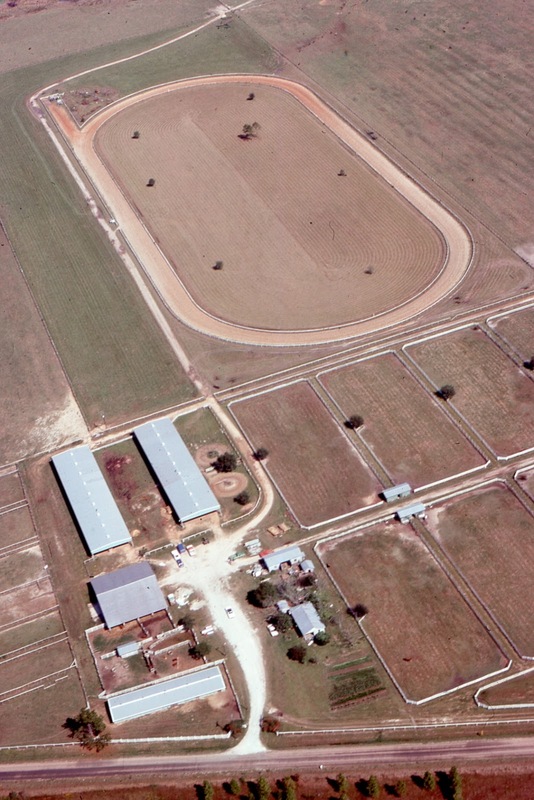 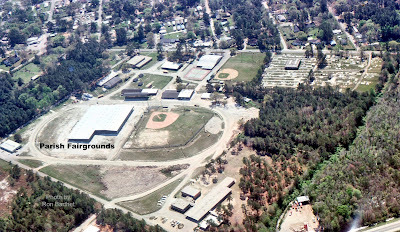 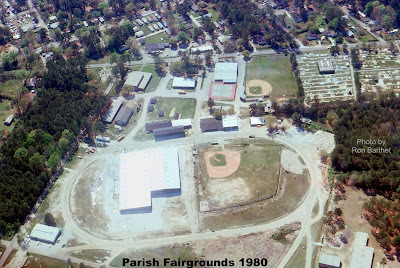 Below image shows the Parish Fairgrounds prior to 1980. Notice Lyon Elementary at the bottom, the baseball fields still on Columbia Street, the National Guard Armory on the corner, the Covington Community Center facing Columbia St. and the Holy Family Catholic Church on the extreme left edge. 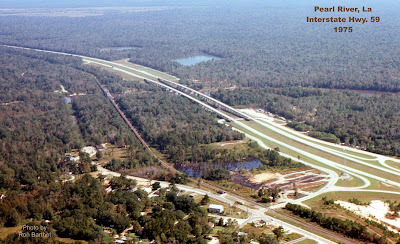 Below is the view looking eastward at the Hwy. 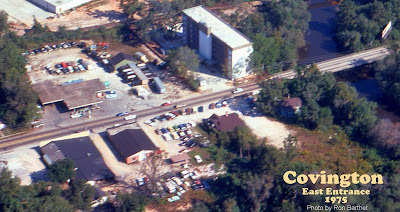 25 and Collins Blvd. intersection in 1975. The big white building is Poole Lumber Co. 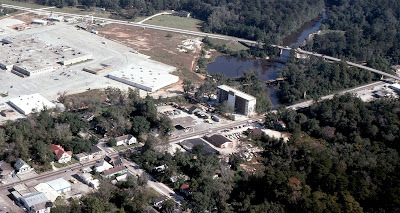 The picture is interesting for what it does not show, things that haven't been built yet: the St. Tammany Parish Jail, the Winn Dixie Supermarket and shopping center, the Shell Service Station, drug stores, Wendy's, Burger King, McDonald's, with no residential subdivisions in the far distance. 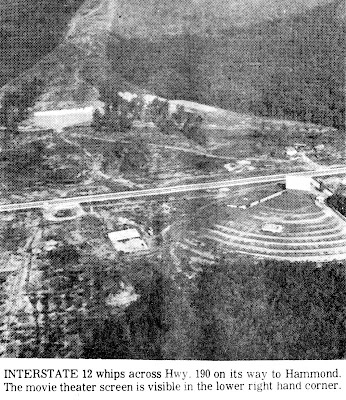 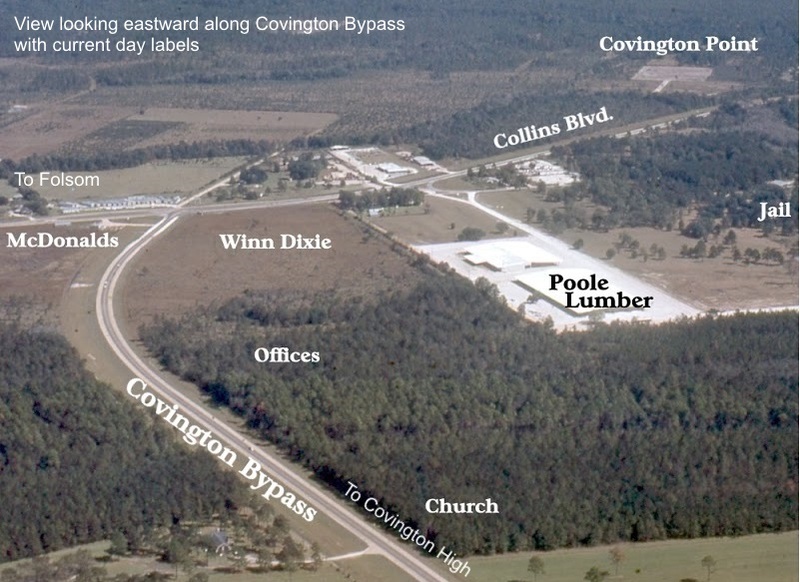 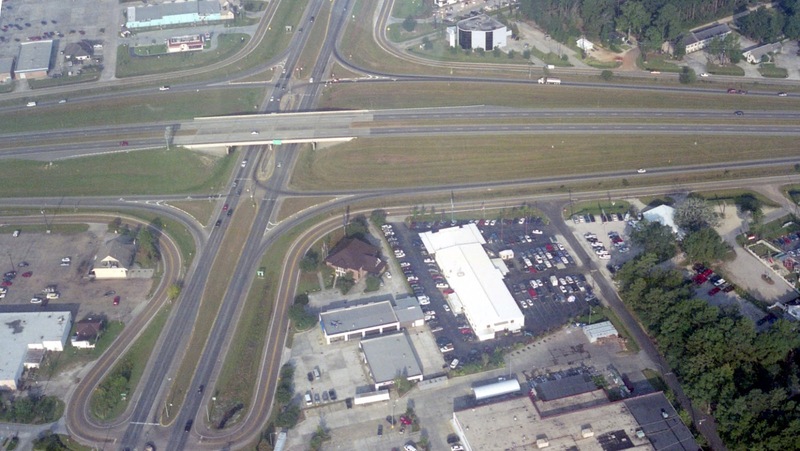 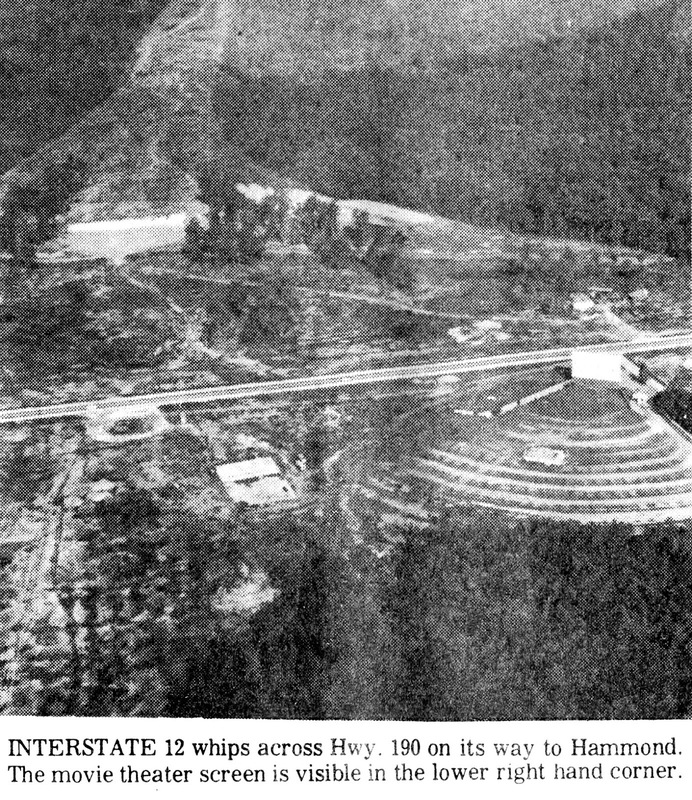 View looking westward on Interstate 12 (under construction) with U.S. 190 running horizontally across the frame, left side going to Mandeville. The Jet Drive In visible on the right. View looking southwest at intersection of U.S. 190 and La. 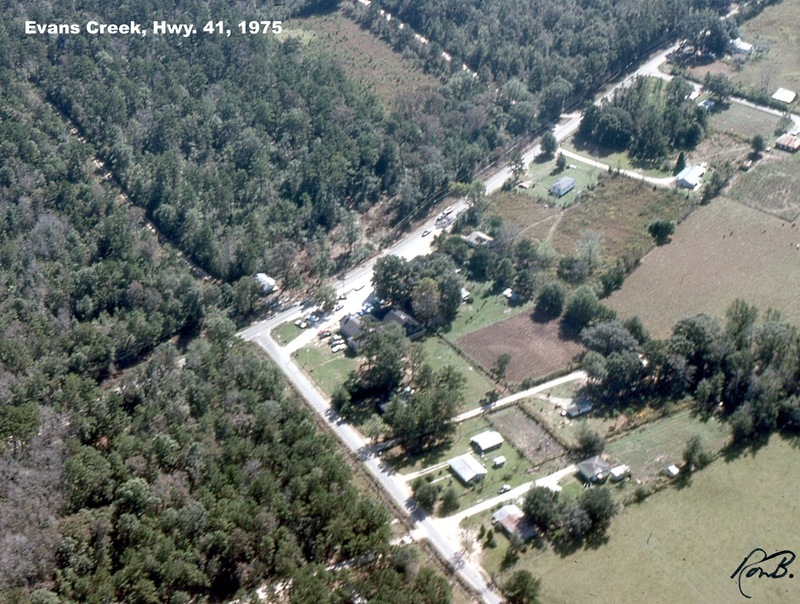 1077, with the "Country Boy One-Stop" grocery store pictured. 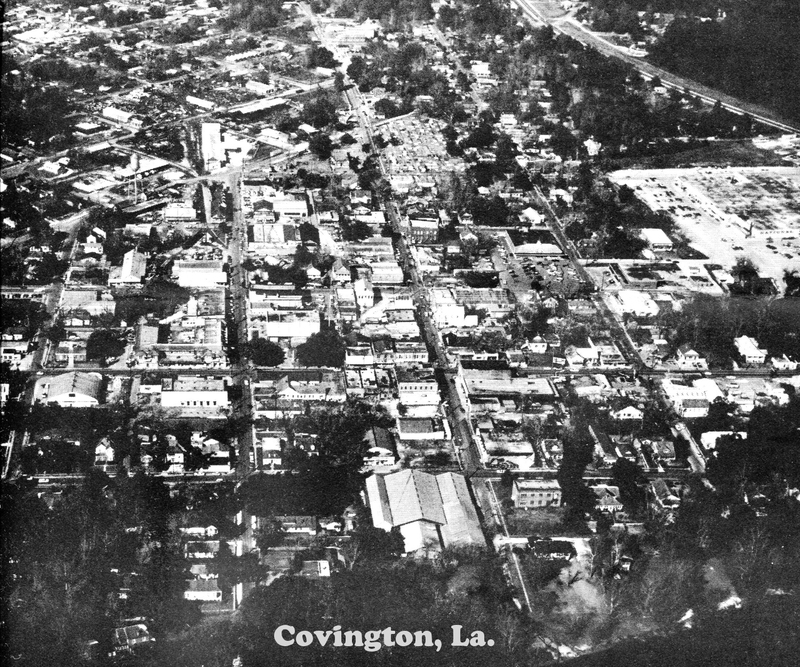 View looking northeast at the La. 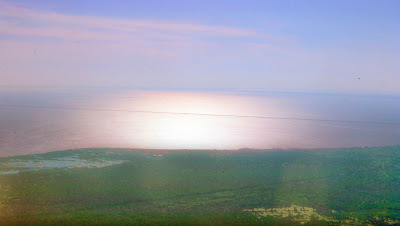 25 and La. 40 intersection. 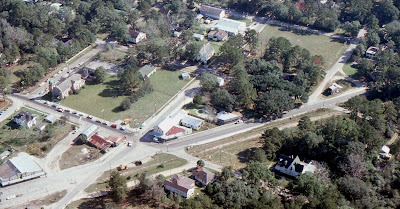 The old town hall is located just above the intersection. 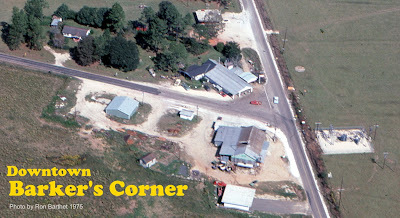 It was later moved west one block to the gravel road in the lower lefthand corner. 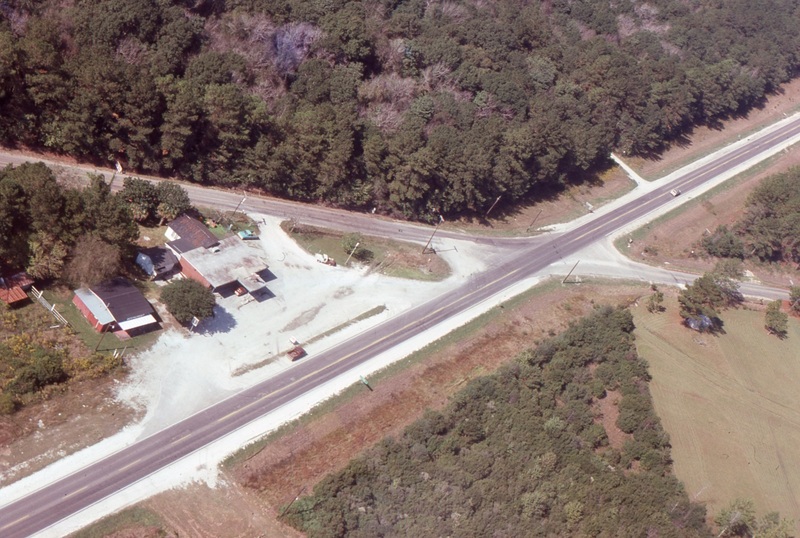 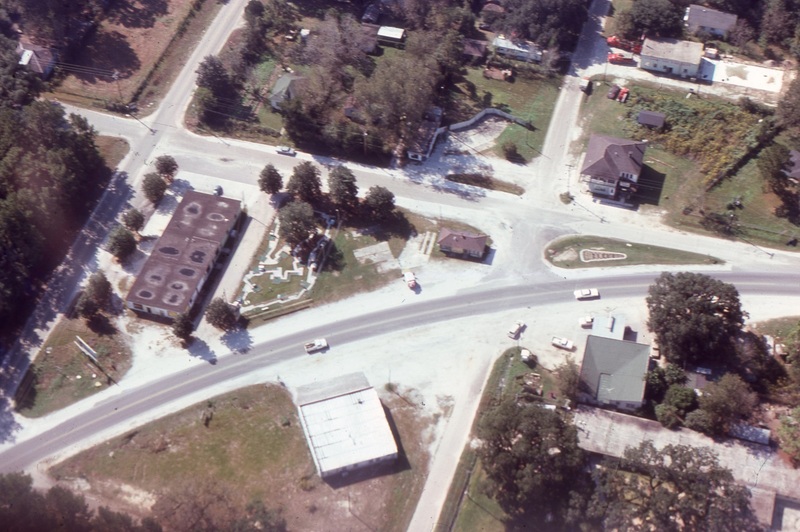 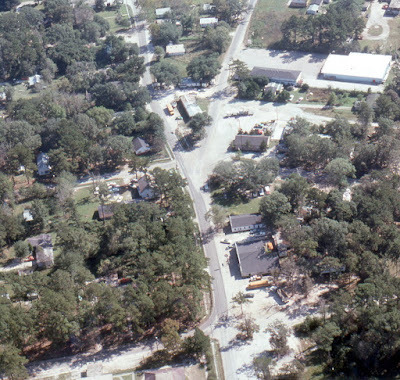 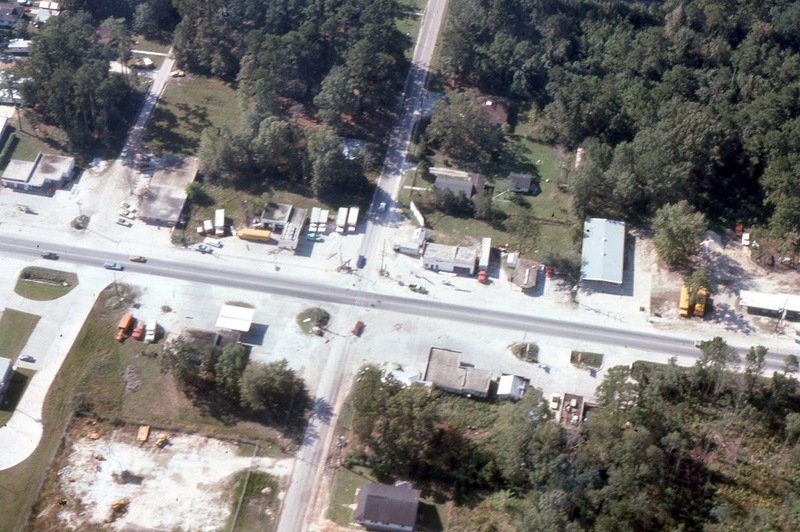 View looking southward at U.S. 190 and Girod Street intersection in 1975. 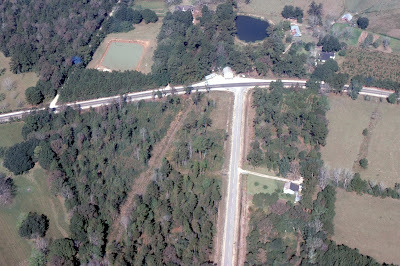 U.S. 190 runs horizontally across picture. Library in upper middle. 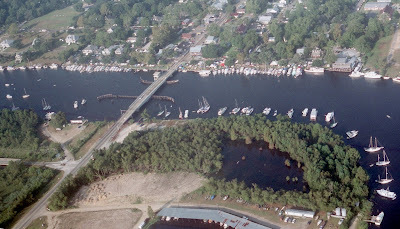 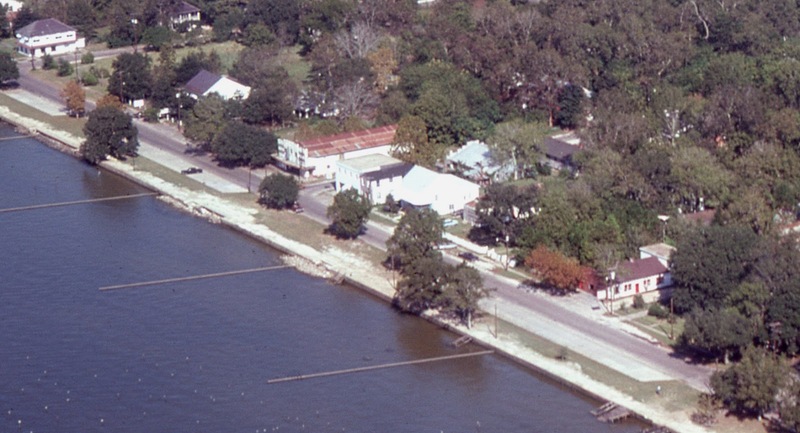 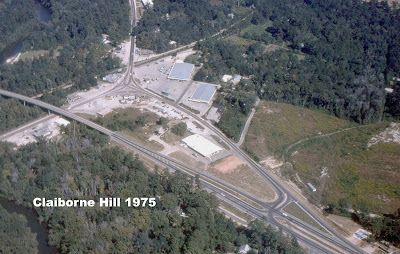 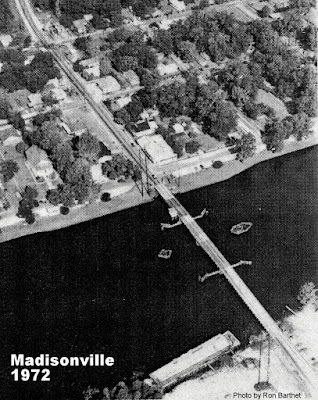 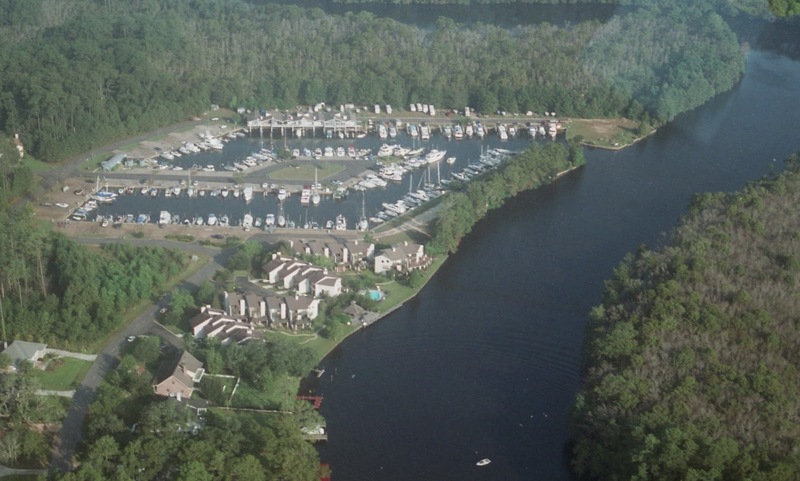 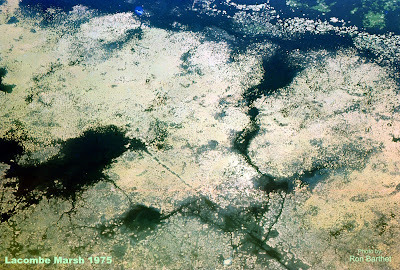 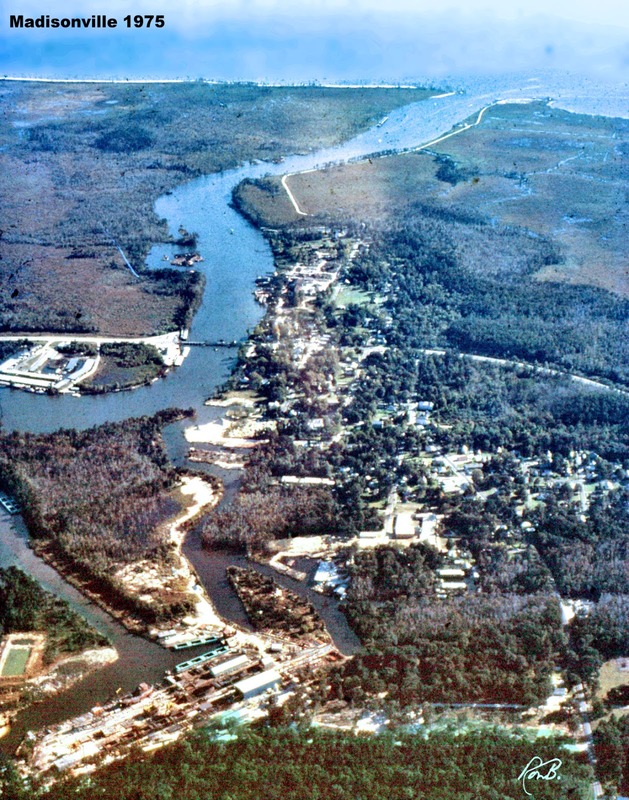 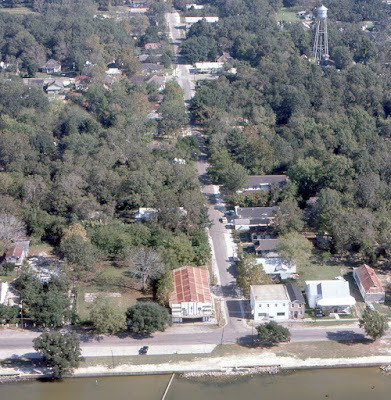 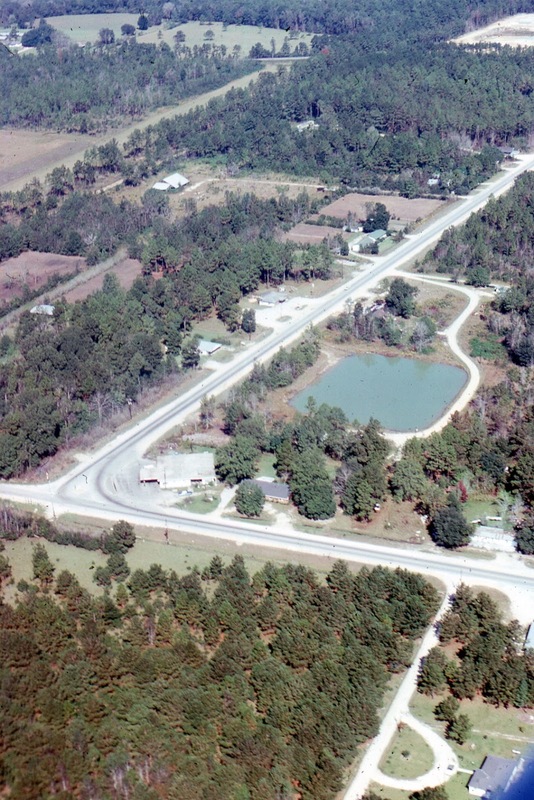 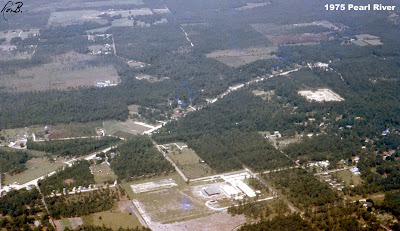 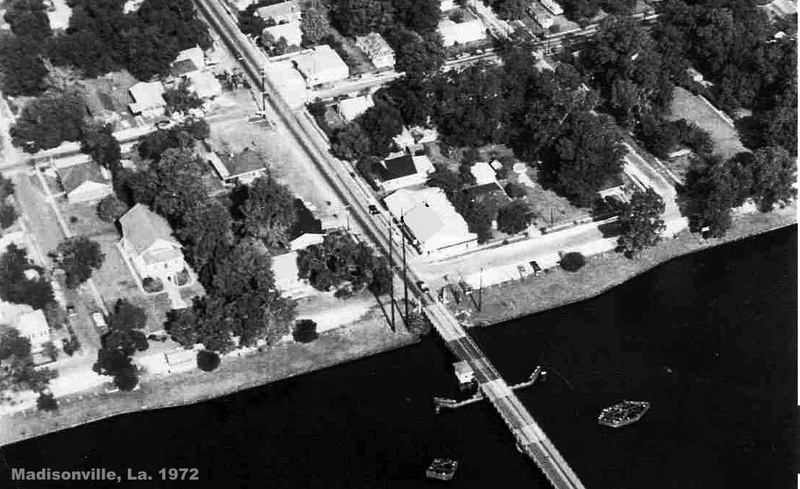 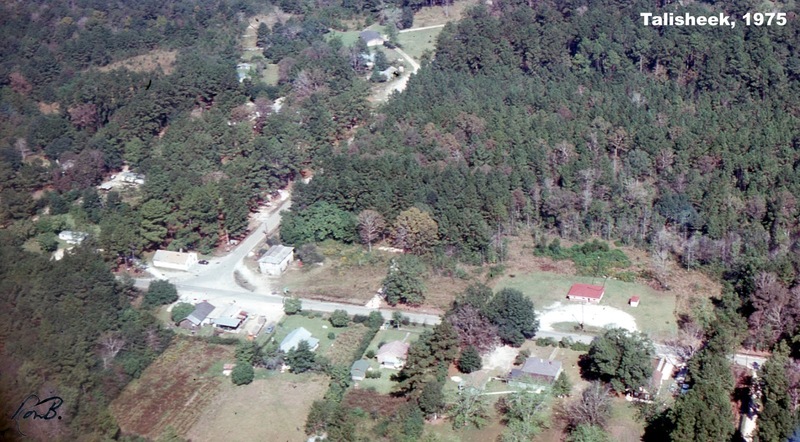 Here is an aerial photograph of Pearl River taken in 1975, with the view looking west. 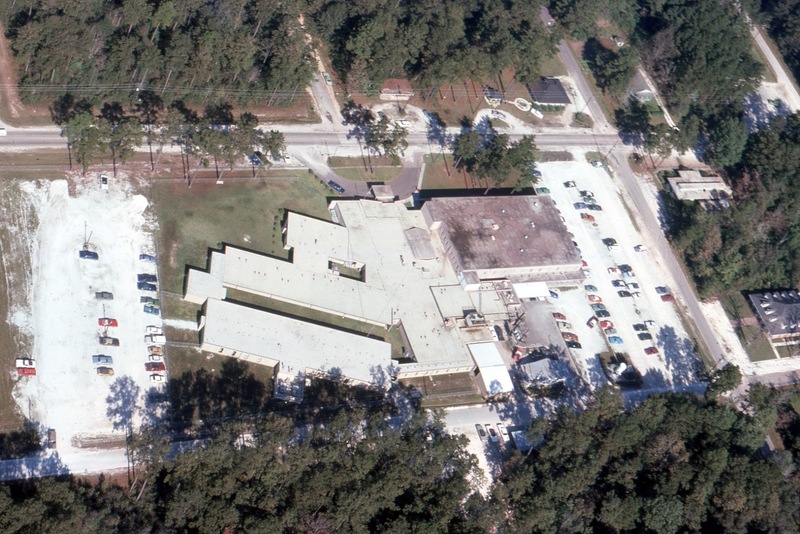 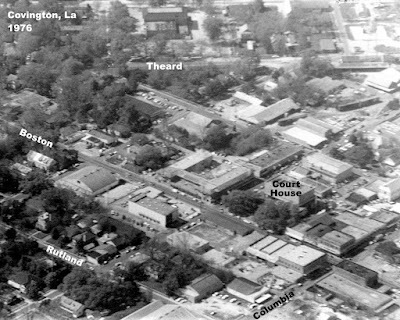 Pearl River High School is seen in the lower center of the picture. Click on the image to make it larger. 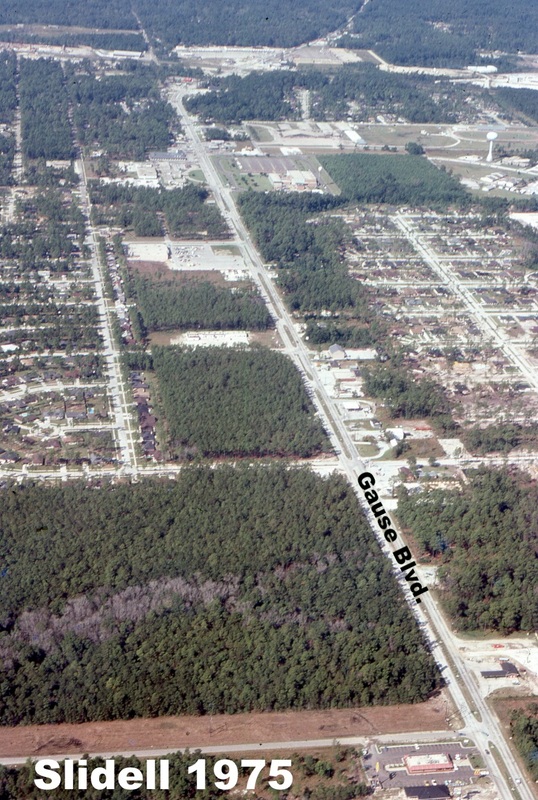 Gause Blvd. 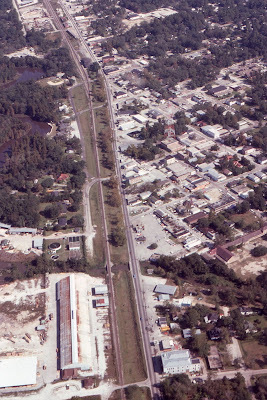 looking west from I-10 towards Front Street. 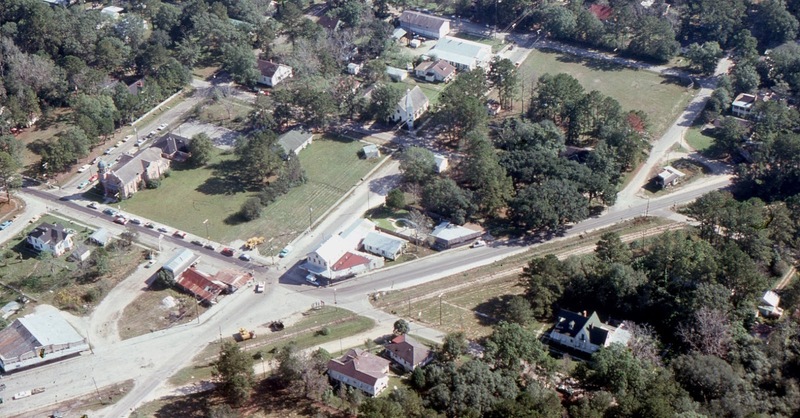 Front Street, view looking northward, with train depot near top of frame across from two-story red building (now the Chamber of Commerce). View looking southward towards Gause Blvd., with the water tower and Slidell High School in upper right.